It is going to be a 10 year anniversary of Systema* in Japan and I would like to thank you personally and your families for your time and efforts you put into Systema and its learning! I also highly appreciate and believe we all together should congratulate Andy Cefai, Ryo Onishi, Scott McQueen, Takahide Kitagawa, Aya Watanabe, and Brett Adams with this anniversary! And open-heartedly thank them for everything they are doing to promote Systema and make it comprehensible to Japanese audience. During this anniversary year which is indeed ‘Intensive Year in Japan’ I would like to share with you the New School of Systema concept. As a founder of Systema I monitor its growth all over the world and after a period of exponential growth there is always ”purity test” coming, and now the integrity of Systema as an internal martial art school is my main concern. I utterly want to make it possible for every one of our followers to get the deep knowledge in its essence without being distorted by temptations of modern world. The New School is my offer to everyone to become my personal student. Contrary to rumors and erroneous opinion, New School of Systema is not about some new knowledge or secrets that were hidden to date. In fact it’s a reminder to all who took the external part of Systema and turned Systema training into fitness. New School of Systema is a message to all who combined their own experiments with a limited knowledge of Systema as a whole and to all who did not understand or have forgotten that external work that looks like Systema is only a reflection of its internal work and its essence. New School of Systema Ryabko is the recovery of Systema and the way to the source, it is the instructors who preserve and convey the original knowledge, it is the emersion of real Systema Ryabko. And it is especially delighting that we set up the World premiere of The New School of Systema in Japan! This is the country where Systema Ryabko has a wide footprint and the country with great martial art traditions! 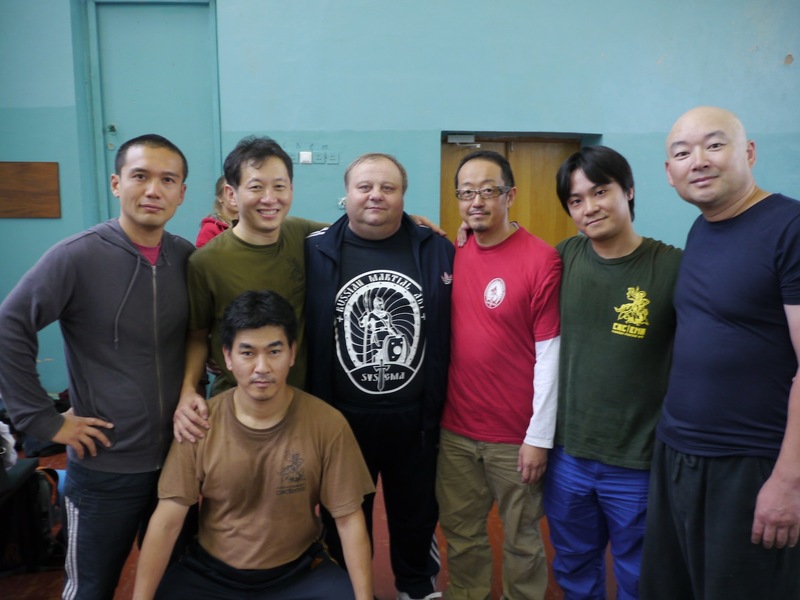 I hope to add the next people as the people who supported a Systema in Japan. Kazumasa Okuuchi(Systema Kobe), Yoshiyasu Nishibe(Systema Kichijoji),Katsushige Shibata(Musashino Systema Club) ,Hiroshi Yoshida(Systema Japan),Hiroyasu Fujimori(Systema Japan) ,Naoko Asano(Systema Osaka) etcetc.. In particular, Syusaku Sambongi (Systema Higashi Tokyo) gave a splendid achievement under the surface.